1)What type of card i can Read Write with this Software SDA and DDA (Static/Dinamyc) It can be any Visa, Visa Electron, MasterCard, Maestro, Amex, Union-Pay, Diners, Discover, JCB. 2)This Software will Work in any Country Yes It will work in any Country in the World Where EMV Tech Is Used. nexTonecodes always try to amalgamate itself with creative people who try to find new and effective ideas to resolve the issues around . We always like to adopt latest technology with skilled team. 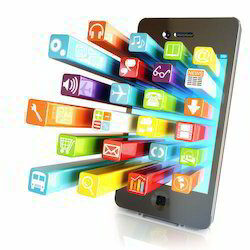 Shivit technologies is a growing companies in the mobile app development services. We work with large enterprises as well as innovative start-up to create mobile solution for the iphone, iOS, Android etc. -*Get experienced teams and achieve superior time to market. We believe in building different features with Face Recognition, Voice Recognition, Location Services, Payment Services, Dynamic Graphics, 2D Gaming etc. We provide scalable infrastructure support for your growth needs. Got a new idea for a mobile app Wish to create a mobile app that integrates with your existing software We offer custom mobile app development services for ios & android, proficiency in native & Ionic app development. Our services will help you systematically mobilize your business to compete in the mobile-first world. 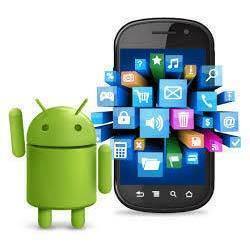 We are offering the Mobile App Development services to our customers. As a trusted custom programming improvement firm, applies its unlimited industry information and area skill to assemble milestone venture and portable applications for heading organizations in the money related administrations, human services, travel & cordiality and different commercial enterprises. Sravan Technologies offers hight quality mobile application development services.We are expert in Android app development and IOS app development . We have a great team of Android and IOS. A web application or web app is any application software that runs in a web browser and is created in a browser and relies on a web browser to render the application. If the software that suits your specific needs simply isn't available on the market place of the shelf. When standard business applications solutions and software aren't sufficient or flexible enough for your enterprise, Kabeer Consulting can custom-build to your specifications – efficiently, and delivering our proven certainty. There are more than 1.5 billion smartphones in the world today. That's a lot of potential clients. Get a piece of that by letting us design an amazing mobile app that suites your business and marketing needs. Application development has undergone a complete and drastic evolution in the last few years with their migration from traditional client/server designs to the Internet. The web with its dynamic pace is a convenient and powerful medium for commercial transactions This has made a fast-pace in the deliverance of development solutions.